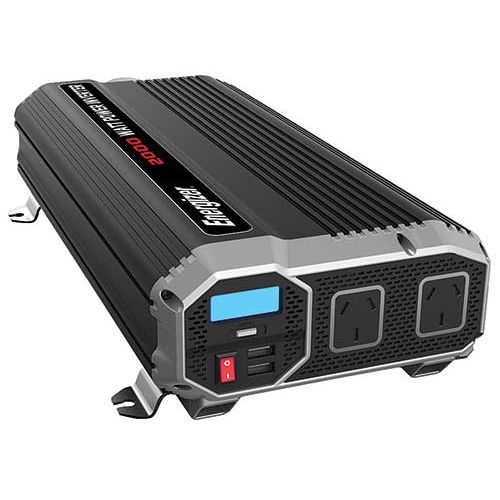 These heavy duty dual power 12VDC to 230VAC inverters connect directly to a 12VDC battery to power hand held power tools, televisions, gaming consoles, home electronics and small appliances. The LCD shows output wattage or input voltage and battery level. There are also 2 x USB ports that output up to 2.4A each, enough to charge your Smartphone, Tablet and other USB devices. Electrically isolated for safety. Ultra-silent thermal fan.